Has GDPR economy made your life difficult to collect lead’s phone numbers? Probably. European union felt a strong need to implement a data protection law that could help citizens safeguard their own data. The regulation was made on 14th April 2016 and came into effect on 25th May 2018. General Data Protection Regulation can be called as a set of regulations that aims to help citizens as well as businesses to smoothly function in this digital age. We know that almost all organizations whom we interact online, collect our data like name, email address, credit card information, address, etc. 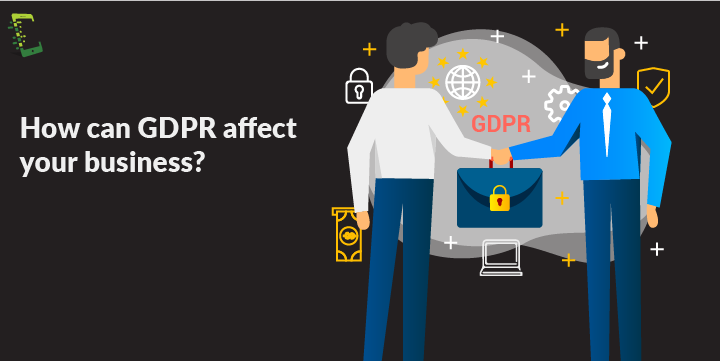 With GDPR, the organizations have to follow some strict guidelines in order to protect and foremost to get consent from the person before storing the data. As we are all aware, data breaches happen all the time which even doesn’t spare companies like Sony and when this happens, customer’s data is sold in the back market or is made available to download publically. With GDPR coming into effect, organizations are now obligated not only to get the data legally i.e by consent but also store the data responsbly and pay penalty in case of data leaks. 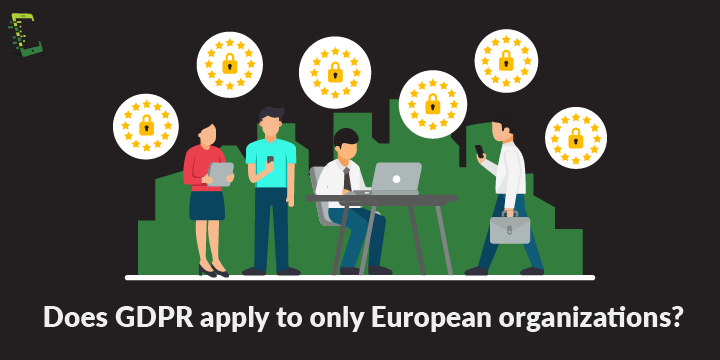 General Data Protection Regulation applies to all EU organizations as well as all the companies offering goods and services in EU. What can be considered as personal data under GDPR? As GDPR comes into effect, it will, of course, have an effect on how the organization now handles their EU business. Knowledge is key: You need to make sure your team is aware of what is going on in terms of GDPR, how to handle customer’s request regarding their data. Ready to listen: Customers can now request to delete their data, know what details you have stored, etc. In case a client request deletion of data, then it has to be completed within one month. If there is no system in place, then it has to be implemented. No more fooling: This is especially true for websites, that per-tick certain terms which usually the customer ignores and unknowingly agrees to share their personal data. As per GDPR, there cannot be a pre-ticked condition. Up your security: GDPR comes in with heavy regulations with respect to data breaches. As it is said, prevention is always better than a cure. So organizations now should make sure that they have a system with proper security to minimize data breaches. As you know that you will need the consent of your users regarding storing their information, thus you need to again ask the users to opt-in, which may lead to losing a significant amount of prospects. So now you will have to rebuild your list or else you stand a chance of getting penalized. Below are a few common strategies used to build a prospect list and how these can be affected by GDPR. Information Exchange: It is a way of getting user information by giving something in return to the user, like an audio file, e-book, image, software, etc. This information is usually limited to an email address but when it comes to business to business, information like company name, designation, phone number, etc come into the picture. While considering GDPR, you need to make sure you have the user’s consent before any information is taken and the main thing to consider is the relevance. Under GDPR, you cannot collect random information, there should be a strong reason to support it. Online seminars: This is also called Webinars and is a very easy way to get user data. Usually, when a user signs up for a webinar, it was considered as consent for marketing emails. But GDPR crushes it all, now it is necessary to get user consent and explain what will you be sending to them. Cold calling is a way to contact the prospect who never had a previous interaction with the company or expressed interest in the service or product. It is not an easy task to turn prospects to paying customers as the success rate is just 2% i.e only 10 conversions out of 500 calls. Even though cold calling is a very old technique and has become less appealing due to modern techniques like social media, emailing, Whatsapp Business, etc, it is still relevant in 2019 but it is still daring as the caller has to face hang-ups, a lot of rejection and even verbal abuse. We should understand how important calling is when it comes to sales and marketing. According to a leading study, 92% of user interaction happens over a call and you are more likely to convert leads if you reach out to them a minimum of six times. The most common myth is that with GDPR in effect, it is not possible to do cold calling or emailing which is of course not true. 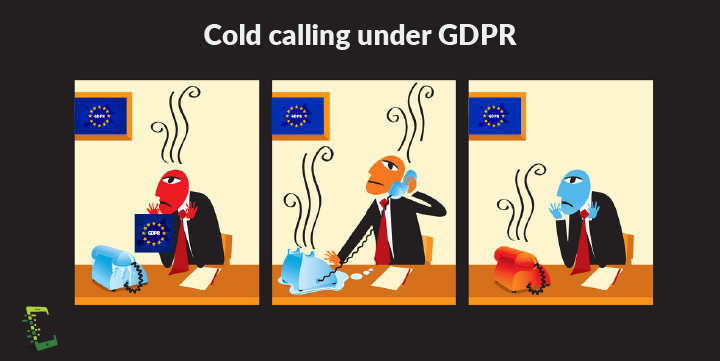 Cold calling actually is not covered under GDPR, so you can relax and use this most effective way to get your sales numbers up. But as you have the user’s data, GDPR regulations need to be taken into account. So whenever you add a prospect to your list, you should make sure that you have proper consent from them. When on call, you can ask the prospect’s consent for newsletters. If the prospect is okay it with it, then make sure you send the client a link where they can manage their subscription. So that they can easily opt in and opt out. But you should have a proof of user consent, so it is always a good practice to send a follow-up email to the client with the details like, the reason for the call, a summary of what happened on the call and the actual reason of sending the email. It is all about transparency between the prospect and the business. This is a follow-up email regarding our call today. As discussed regarding the weekly newsletters, you can use the below link to opt-in and use the same link to opt out whenever you want. To come straight to the point, there is no special way to get a lead’s phone number under GDPR economy because there are no direct restrictions. GDPR is about protecting individual’s data and right to privacy on the internet, thus everything that will affect you is the indirect interference of GDPR laws while getting user data. So, the only thing that you as a business owner needs to keep in mind is prospect’s consent and data security. Looking for ways to collect your lead’s phone numbers in the GDPR economy?